Keeping track of your reading glasses has never been easier! 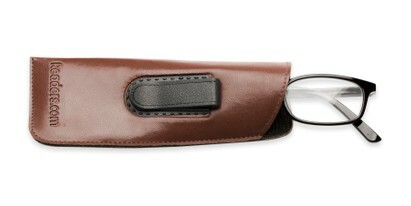 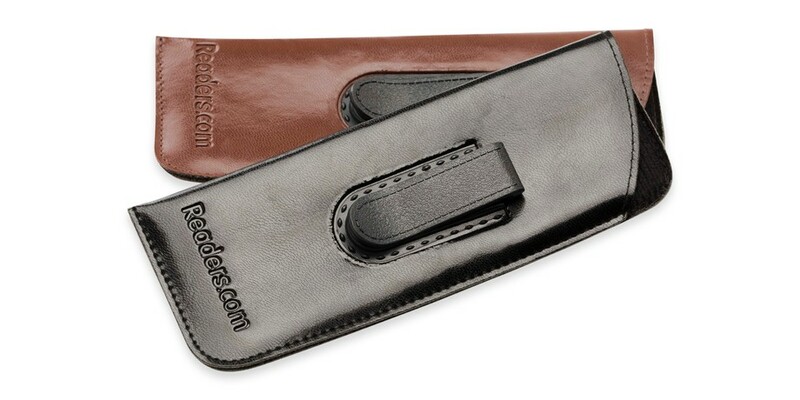 Our Belt Clip Pouch allows you to clip the pouch to your shirt pocket or belt loop for easy access to your readers. The thin leatherette pouch has a soft black interior to keep your lenses protected.